A LIFE IN BOOKS Wins Three More Awards! 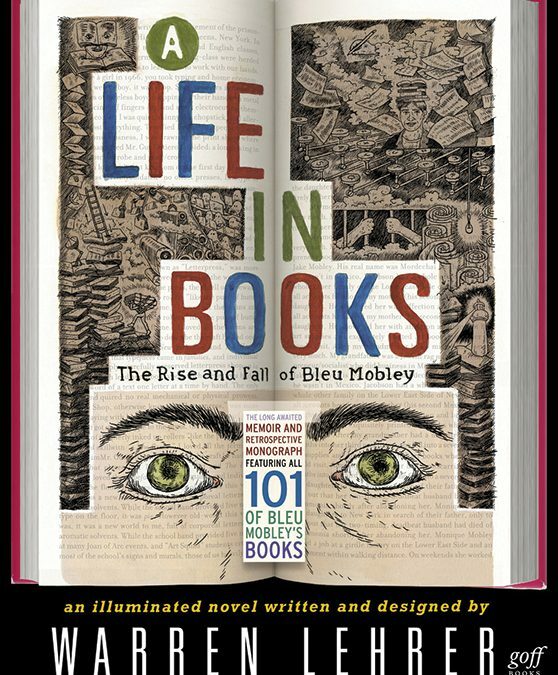 A LIFE IN BOOKS: The Rise and Fall of Bleu Mobley is an illuminated novel by acclaimed author/artist Warren Lehrer. The 4 color novel includes 101 books within it, all written by Lehrer’s protagonist—Bleu Mobley—a controversial author who finds himself in prison looking back on his life and career. Mobley’s autobiography/apologia is paired with a review of all 101 of his books, each represented by its first-edition cover design and catalog copy, and more than a third of his books are excerpted. The resulting retrospective contrasts the published writings (which read like short stories) with the confessional memoir, forming a most unusual portrait of a well-intentioned, obsessively inventive (if ethically challenged) visionary. A LIFE IN BOOKS explores the creative process of a writer/artist, as it reflects upon a half century of American/global events, and grapples with the future of the book as a medium, and the lines that separate and blur truth, myth, and fiction.